The artisan team of our company provides wide variety of Crank Shaft to our esteemed clients. These shafts are fabricated using high quality raw material and have potential of improving the engine efficiency. Crank Shaft is extensively used in various automobiles such as tractors and jeeps. Furthermore, we also offer personalized services to our respected clients at competitive prices. We Offer High Quality of Engine Crank Shafts. Our organization is engaged in trading and supplying Crankshaft. 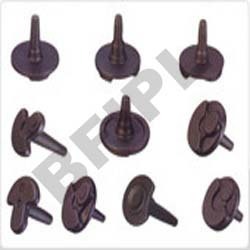 These are highly used in automobile industries for converting linear motion into rotation. Our professionals test these products for ensuring superior quality. This range is well acclaimed among our client base for features like, high performance, low vibration and sturdy construction. We are dealing with various type of Automotive Compressor Crankshaft. Product Details Able to supply a Mazda T 3500 Ductile iron crankshaft. 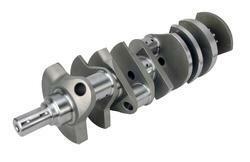 Aimed at the prospering growth in this domain, we are instrumental in offering an excellent quality Mazda Crankshaft. Balance Power Crankshaft Pvt. Ltd.